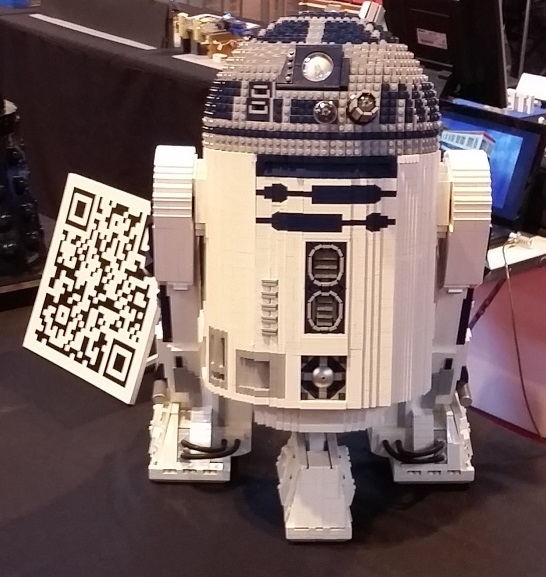 What Luke Did Next...and What Lottie Loves > Days Out > A Great Day Out for LEGO Fans! A Great Day Out for LEGO Fans! 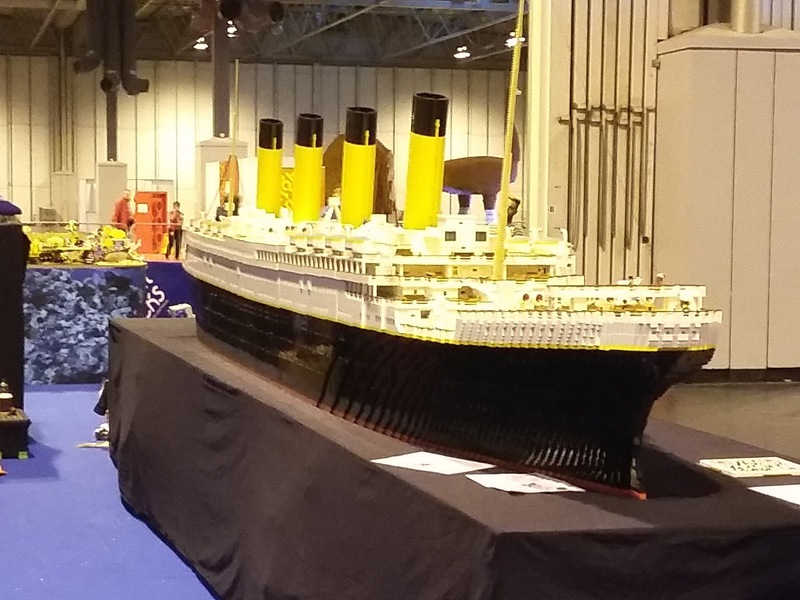 This weekend I was lucky enough to travel to The NEC in Birmingham for Brick 2015. I was expecting a lot of LEGO but I can’t believe just how many bricks there were! 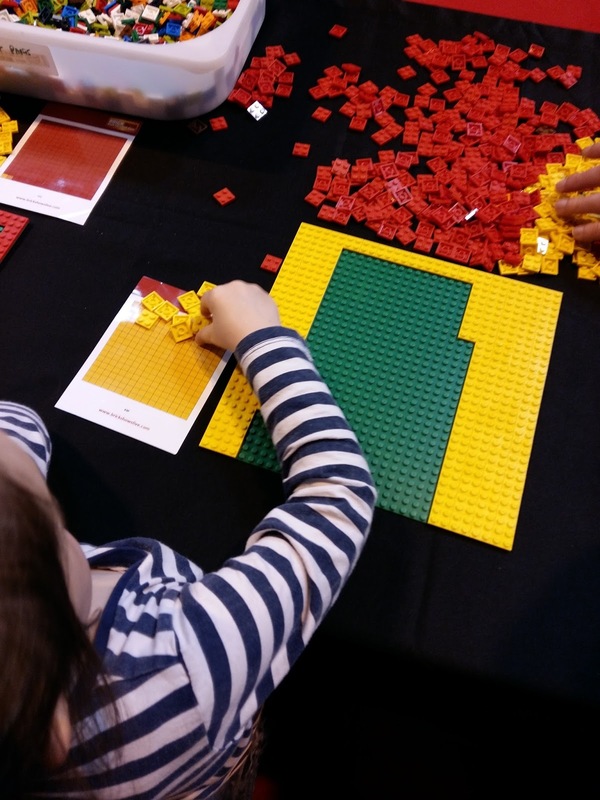 They are also holding a Brick Show at the ExCel Centre in London on 11th – 13th December so if you think this might be for you read on to find out what we got up to at this weekend’s show. When we arrived at the NEC we headed straight for the exhibition and got going with exploring all the activities. There were some amazing displays and models- we all had different favourites but there was a huge Titanic and a Colosseum that were both really awesome that we all loved and there were models of characters like Hagrid, The Teenage Mutant Ninja Turtles and R2D2 which I really wish I was able to build. We joined in with making a huge mosaic- everyone had a base plate and a tiny section of a large picture to create which was then put together to form the whole thing. We made our house out of LEGO which was then added to a huge map of the UK and placed where we asked for it to go. As Lottie had made our house I made a floating building and asked the man to put it in the sea! There was a chance to make racing cars and test them and race them on the ramps, which was good fun and we also attempted another Guinness World Record challenge- there were several different building challenges to complete. Along with all the activities and all the amazing displays there were huge pits of LEGO each in a different colour which you could either sit in or grab a handful of bricks from and just build- it was fantastic- like a ball pool for big kids and grown ups! I think it would be my dream come true to have my very own LEGO pit, although Mum says we’d definitely need a bigger house then! After that there was plenty of chance to add to our own LEGO collections with a huge Toys R Us selling just LEGO- there was so much to choose from! FAB-BRICKS.COM – we didn’t get to see them at the show as they closed the queue off an hour before the end of the show so they could get everyone finished and we didn’t arrive at their stand until then but they make personalised mini figures- you choose the hair, head, body, and legs and then they will engrave it for you. It looked amazing and both Lottie and I really wish we’d got them done so I would definitely recommend visiting them early on in your day. Base Ace- 3D play platforms – My Mum had seen these online before we went and we were really excited to see what they were like- they are a brilliant idea and really good quality. The man showed us how you can have them upside down or add extension packs and lights and basically use them to come help play with your LEGO in any way you like. Lottie loved the treehouse type set but I really liked the one that reminded me if a rocket but I think you could use them all in so many different ways- I would love to create a fort or a space ship. Mechabrick- the people there were really friendly and have created a game that has a large board and robots, weapons and people that move around but basically you use your existing LEGO and create models from you imagination which the robots then move round and blow up. It is also compatible with your base boards so the game can become as large as you like. It looks like a great way to enjoy LEGO with your friends and see where the game takes you. As you can see I now have a whole load of new ideas of what I would like to start saving up for! 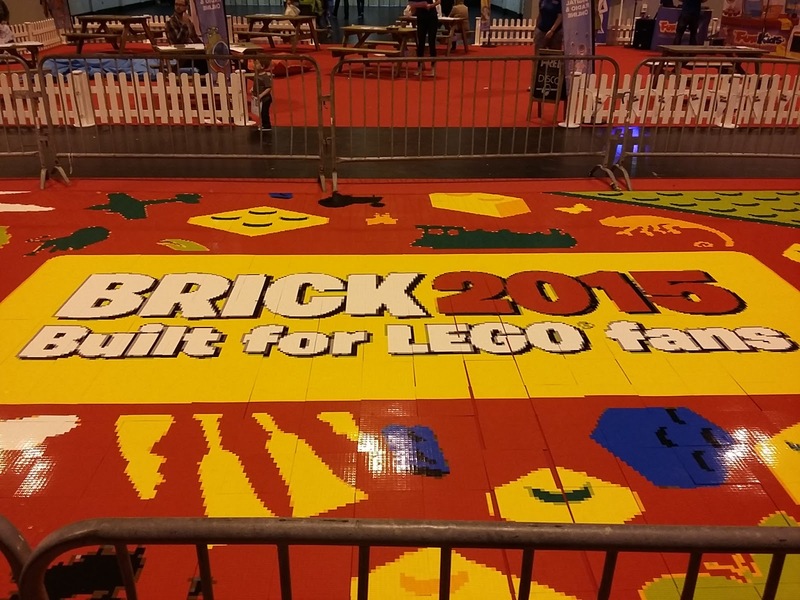 I would really recommend Brick 2015 as a great day out for any LEGO fan- there are plenty of chances to shop but there are also loads of chances to just play and enjoy LEGO alongside loads of other people who also love it. We had a great day out as the whole family- we all like LEGO (well except baby Sam who would just eat it but he was happy to sit in his pushchair and watch the world go by!) I felt there was plenty to do for children of Luke and Lottie’s age groups and we easily filled the whole day and I also saw plenty of people with much older children who still seemed to be enjoying themselves- if anything I would have said we could have gone for longer as we didn’t spend very long playing in the big LEGO pits or looking at some of the models. I have seen some people saying the tickets are pricey- they are right- it isn’t a cheap day out. However, it is comparable with other Exhibitions we have been to and if your child enjoys LEGO then they will definitely get enough out of it to make it worthwhile. Our friends also went and they thoroughly enjoyed the day and again their son would have been happy to stay all night! It should also be a consideration that parking is £12- however this is the standard rate at the NEC for any show I have ever been to there and would be expected anywhere. The products being sold start from £1.50 upwards so you don’t need to have a huge budget for treats to still enjoy the day but with Christmas fast approaching the December show will be a brilliant chance to get stocked up for it. We were lucky enough to be given tickets to the Brick 2015 Show and would like to take this opportunity to thank Poppyseed Media for their generosity. However all thoughts and opinions within this post are our own.